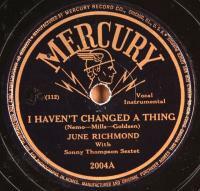 Fine post war vocals by superb R&B/Blues/Jazz singer, June Richmond, accompanied by the Sonny Thompson Sextet. Condition: V+/V,V+; Plays loud and strong over light to moderate surface noise. Scuffing/rubbing and light scratching. 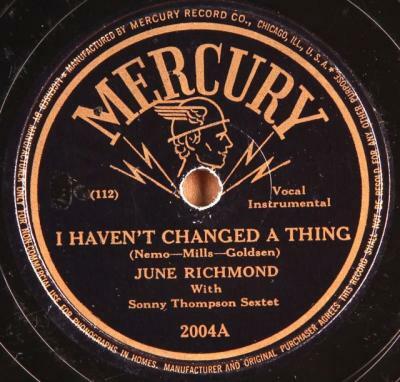 Light graying of grooves on "After You've Gone."